Because if love is the glue to any marriage, money can be the scissors cutting it apart. We’ve all heard the cliches by now. 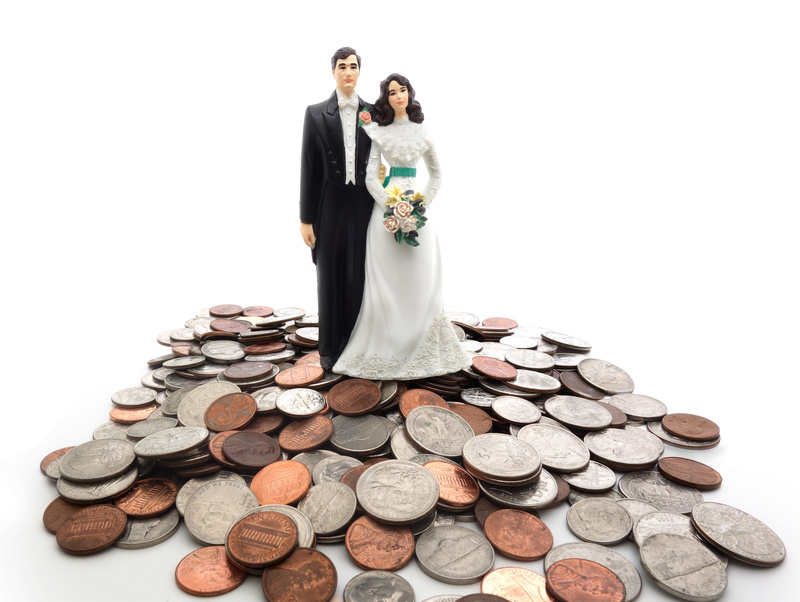 Money and lack of communication top the divorce charts when it comes to why couples ultimately separate. Before committing forever to your significant other, you need to know what’s in each other’s wallets, bank accounts, and debt collection letters. You also need to know the attitude and values your loved one places on money- as it will intimately affect you for the rest of your married life. And opposites may attract on many angles, but money is still a source of major contention- especially if you are on opposing wavelengths. Let’s explore the key conversation points. 1. If You Came Across a Windfall, What Would You Do With It? We all fantasize about winning the lottery or think about what life would look like if suddenly a billion dollars fell into our laps from some random inheritance. Do you know where your partner stands if he suddenly came across a large chunk of money? Would he be the type to reinvest it? Spend it all on a new car? Donate it to his favorite charity? Share generously with all his friends and family? There is no right or wrong answer, but it’s important to have awareness of your partner’s attitude and values surrounding acquiring money. 2. What Would Be The Easiest/Hardest Extras To Cut Out of Your Life? Discretionary income is nice. It’s what allows us to splurge on fancy dinners or new handbags or trips abroad. But, what if push comes to shove, and the money suddenly dries up due to some kind of financial emergency? What if the both of you need to tighten your spending and forgo anything outside of the basic living essentials? Ask your partner what would be challenging to forgo. Is it the cable TV? The fancy bourbon on the weekends? The smartphone bells and whistles? It’s also important for you to reflect on how you feel towards extraneous spending. Where do you blur the lines between needs and wants? Where do you find it challenging to make sacrifices? 3. How Do You Want to Raise Our Children? If you’re planning on having kids with your partner, you already know the importance of squaring away important life values and parenting goals. Money is still intimately involved with raising children, especially because recent figures suggest that the average child costs parents a whopping $233,610. If you’re a beloved advocate of public schools but your partner believes in private education, you may have a problem. Likewise, if you believe in giving your child three toys for Christmas, but your partner wants to fulfill everything on the wishlist, you definitely may have a problem. While you don’t always need to be on the same financial page when it comes to raising children, you do need to have a basis for you and your partner’s foundation. Kids are challenging enough, without all the added complication on your wallet. 4. What’s Your Investment Strategy? Are you more of a fan of day-trading with the chance for high-risk and high-reward results? Or, are you more of a play-it-safe-throw-it-all-in-index-funds kind of investor? Do you even believe in investing to begin with? Where does your partner stand? Knowing each other’s investment strategies and goals is important. This will help you establish mutual financial plans for major life milestones, like buying a home, planning for retirement, and creating an estate. 5. What Are You Willing to Do to Make Money? This question goes in both directions. On one hand, you need to know the kind of hustle and work ethic your partner has. Is he the type of person who is willing to get his hands dirty and do work that may be beneath him in order to put food on your dinner table? Or, is he the type to refuse to settle for any job less than his pay grade or role expectations? On the other hand, how important is money to your partner? Is it so important that he would continue to sacrifice time with his family or on his mental and physical health? What are the boundaries and what can/will change them if needed? Marriage is an exciting time for any happy couple. But, don’t go into your wedding without knowing these basic answers. You’ll sleep better at night- and enjoy a healthier and kinder marriage!